Cross any obstacle placed in your path! Beyond the Chariots is a wonderful and uplifting experience. If you ever get the chance to see Rich Swingle in person cross any obstacle placed in your path to do so. Sister in Christ, Wanda Glaze. Very recently I had the honor and pleasure to meet and work with Rich Swingle. He is without a doubt one of the most talented, creative people I know. He knew I had some personal connections to 9/11 so he shared his performance of “5 Bells For 9/11 NYC” with me. From the moment Rich walks on stage, as one of several different characters he plays, one no longer sees an actor named Rich, but the individual characters he is playing. The moves, the accents, the reactions are so unique and special it would seem as if there are a half dozen people on stage instead of just one. Rich Swingle has a way of taking a very serious subject and interjecting humor in such a way that is not only funny but respectful of the subject matter. It was a wonderful, emotional rollercoaster ride through a day that for our generation, as Franklin Roosevelt said on December 7, 1941, "A day that will live in Infamy. Regardless of ones connection to 9/11 I highly recommend this amazing performance by an incredible talent. Thank you Rich for touching my heart. I just wanted to let you know that my wife and I had an opportunity to watch your one-man show of Beyond the Chariots. What an incredible performance!!! Thank you for sharing this with us – we were highly entertained and inspired! I was blown away by your performance in "Sheepish"....it was amazing!!! YouTube doesn't do you or the power of the play justice, it has to be experienced live. It was fantastic and I loved it. Do yourself and your audience a favor and book Rich Swingle, he is a true master of his craft who brought God's word in the story of Gideon to life in a way you must see to appreciate. "It was a very moving performance. Thank you! I can’t stop talking about the performance to my family and friends." I just wanted to thank you for what you did for me and the other students. I learned so much from you guys, and I will take it I into my future. I will definitely be staying in touch as I will have questions about different things that I will want your advice on. Thanks again. I don't have celebrity heroes from TV, you guys are seriously my heroes. I watched your 'Five Bells for 9/11' with great interest (and EMOTION). My California community sent me to 9/11 where I worked directly next to Ground Zero to provide sanitation, healthy food and liquid supplies for the NYFD Fireworkers, NYPD and New Jersey's 'Wall of the Blue', EMT's, and so many others because the Red Cross and Salvation Army supplies and personnel 24/7 demands each month afterwards were rapidly depleting. Like everyone else, I worked 22/7 (two hours sleep) for months whereby in between those triple shifts God opened the door to train at the Billy Graham Crisis Center in order to offer Grief Counseling to assist our public servants whose minds, memories, and entire lives were shipwrecked with tumultuous oceans of PTSD. Inside the front cover of my Bible holds one of my most cherished reminders for ongoing prayer to this day: the signatures of those Firemen and NYPD and NJPD I was privileged to assist. This intriguing piece, derived from Woolman's diary, portrays Woolman from teenager to older man (he died at 52 of smallpox while visiting England on an anti-slavery tour). Obviously very sincere in matters of religion, Swingle hasn't let matters of devotion get in the way of creating an entertaining, interesting, and moving theatre piece. He played Woolman as an older man and as a 19-year-old, as well as portraying his boss, Michael Worthington, two slaves, and a slaveowner and former chum, Amos Elkins. In the course of the play, Woolman develops from callow youth to thoughtful and independent adult. The presence of the other characters gives Woolman something to develop against, as, for instance, when one slave dies, unburdening himself most frankly against white slaveowners, under his care. Woolman's character is shown warts and all, and his life becomes a process of slowly getting rid of those warts and starting his own ministry. None of this would have worked were Swingle not an extremely competent actor, able to bring all these characters to life with a minimum of props, a couple of set pieces, and authentic-looking costume. Two notes that made the production especially interesting were a minute of Quaker worship during intermission (no one had a clear leading* and spoke up, though) and a question-and-answer session by John Woolman -- that is, Swingle still in character -- after the show. *The play was titled A Clear Leading at the time of this review. It is now titled I Dreamed I Was Free. Rich Swingle shares moments of strength and vulnerability throughout the transformation. Really enjoyed the story about perspective and how easy things can shift when you choose to change... Thank you for this story and creating it to lift up faith and hope. I'm still in awe about your performance! Thank you sooooo much for being faithful in using your gifting for the Glory of God and evangelism. We will stay in touch! It felt like getting a behind-the-scenes tour through the Book of Acts! Those scenes in the text were brought to life in an emotional way that truly magnified God's Word without dishonoring it. I was also stunned at how quickly you transformed your character with a commitment that was overwhelmingly convincing. You had such an impact on the folks here at Bethel. I got to view this tonight at Rich's presentation in Suntree. What an amazing, impactful, and well-presented film! Regardless of what season of life you are in, there is some portion that speaks to you. It is hard to tell a story as a single actor involving multiple characters - ambitious always, but Rich brought clarity and had a strong point of view throughout. His character work is really good and as always, his dialects are wonderful! 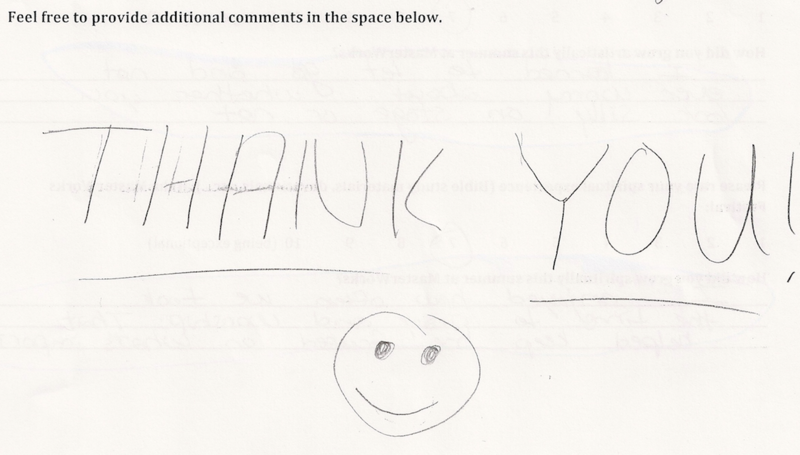 Rich, the word from the class was unanimous!… "One of the best classes ever taken at Princeton!" I am pleased to nominate Rich Swingle as The-Best-Performing-Artist-Of-This-Decade for Theater, Film, and an outstanding Acting Coach. I have had the wonderful pleasure of knowing and working with Rich for several years now and have always found him above and beyond talented, professional, full of high energy, dependable, efficient, unfailingly punctual, and so much fun to work with and be around. In fact, I have never worked with an entertainment industry professional like Rich who gives as much attention to detail as he does in EVERYTHING. Also, his willingness to take on difficult Theater, Film, and Acting Coach projects and see them to successful completion has repeatedly impressed me over and over again. Rich Swingle's skills do not end with his Theater, Film, and Acting Coach experienced accomplishments. He also projects a warm, cheerful attitude to everyone he comes into contact with. Rich has an amazing way of resolving conflicts and handle other difficult situations with remarkable patience and admirable tact. In the community he goes out of his way to help people in need. He loves people, works hard, and always tries to lift the spirits of those around him. I believe these characteristics represent all that is good in Rich Swingle, and I am blessed, pleased, and honored to work with him professionally and to know him personally. We had a marvelous time and were greatly inspired through each and every story and heart on that stage. Great to see you in all of your Gideon action. Absolutely delightful, imaginative and was a great palette for painting with your gifts. Bravo. Joe and I are still talking about it all - a good sign. I was particularly taken with the fact that God is really still doing miraculous work in lives in such unexpected and HUGE ways. Talk about dramatic conversions! I’m so glad we got to be there and experience your work and God’s work as well. Many thanks and many congratulations! 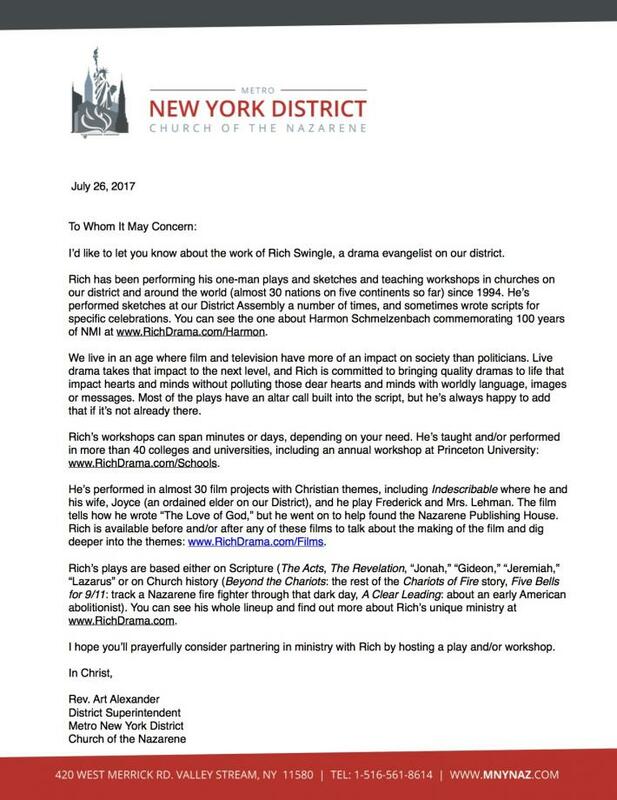 I was recommended by Art Alexander, the District Superintendent of the Metro New York District of the Church of the Nazarene. Click the thumbnail to read the recommendation. Great Show! So proud of everyone! Rich Swingle, Patricia Mauceri, Donna East and the rest of the professional and talented cast! Rich's play is wonderful, and as the years pass it becomes more important, because now we have a generation that wasn’t born… I was actually born just ten years after World War II, and as a kid learning about World War II, even though my Mom had grown up in World War II, I thought it was as far back as the Revolutionary War. Like it was so long ago, why are these people still talking about it. And I think that’s our challenge. The Bible tells us to tell the next generation the praiseworthy deeds of our Lord and Savior. This play spreads his glory. * And we need to tell them the God stuff and the history stuff as well. We need to make sure they know. *That line quoted in the Times Herald-Register. Ann said the rest during her talk following Rich's performance commemorating the 15th anniversary of 9/11. Rich Swingle - A man of great faith. His story of God's goodness shows me how much we can trust our Father - when He calls, He will make the way for us to follow. 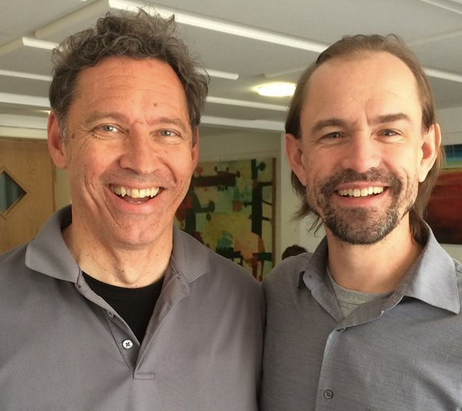 Rich is a walking testimony to God's faithfulness! 12 Reasons Why You Need to Cast Rich Swingle In Your Next Christian Film! 1) He is sold out to God and is an ambassador for Christ wherever he goes. He encouraged me greatly in my relationship with God to walk closer, shine brighter, love deeper, witness often, give thanks in all circumstances and praise God for the victories. 2) He is a consummate professional that studied his lines and researched his character thoroughly. 3) He provides expert acting coaching making it fun and encouraging. 4) He brings other terrific acting talent with him. He even brought his lovely wife Joyce who became our prayer warrior on set. 5) He is a superb actor that requires little to no guidance during each take. 6) He is a smart marketer of his brand and adds tremendous value to the film conducting radio and TV interviews as well as film festival, web and social networking buzz. 7) He bathes everything he does in prayer from the first day of the project to the last. 8) He is extremely humble and kind, not even losing his cool after a 15 hour day when I did. 9) He fully expects every day to include divine appointments and it was impressive to me watching God provide them. 10) Through his "Big Kingdom, Small World" attitude he knows people everywhere and provided many needed resources through his friends. 11) He loves to laugh and brings fun and levity to some extremely long tiring shooting days. I haven't laughed that hard in a long time. 12) He has the gift of languages. We counted he spoke 7 languages in one day at Crater lake alone. As you can tell, I am pretty impressed with this man and grateful to God for his assistance, talent and heart during our shoot. It was a tremendous encouragement to me and my family and he left a lasting impact on our lives. Thank you Rich Swingle! You are a great blessing! Mike Hill and the whole A Matter of Perspective team. Talking over a scene with Lindy Nelson. Just finished an exhausting but incredibly memorable week in Bismarck, ND. I was privileged to spend several days on a film set with Christian actor, Rich Swingle! His passion in his work, and love for the Lord were a huge inspiration. The time I spent working with him deeply encouraged me; not only as an actress but also as a follower of Christ. I have been wanting to thank you again from my husband and I, both, for investing in our daughters, Lindy and Larissa, through the Living Word film project. They and many other young people have been inspired by you. I've heard story after story of ways you blessed those on the filming project and more at the [North Dakota Home School] Convention. Your love for Jesus shines so very brightly.....it simply is contagious. May God abundantly bless you and your dear wife for all that you do to reach out to young people and invest in them. You were outstanding in Indescribable. Such a blessing to watch. 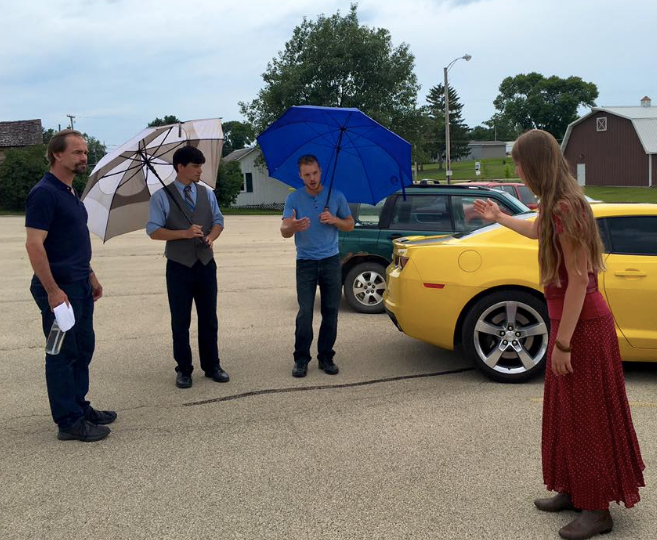 It was delightful to work with the cast and crew of One Day a few weeks ago in Illinois! There were powerful and moving performances by Andrew Hurt, Rich Swingle, Kari Fabian, Tim Kaiser, and our other actors. 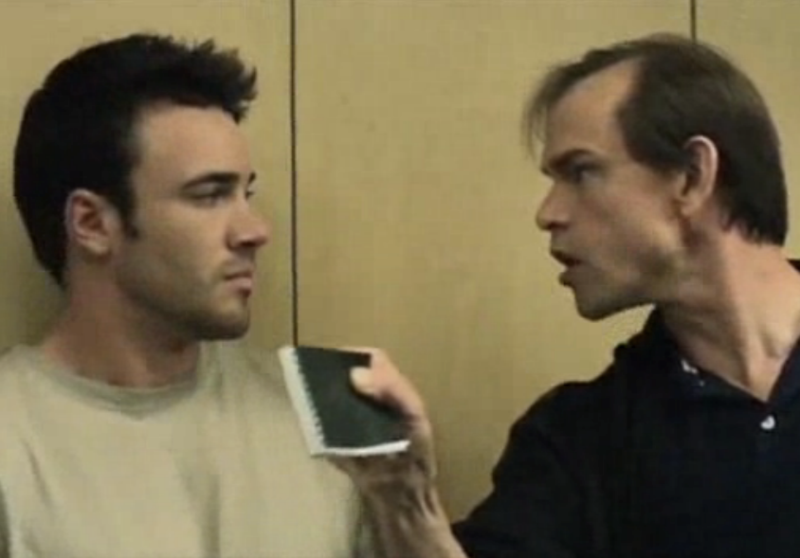 We all really benefited from Rich Swingle's work as our acting coach. Connor Schexnayder and Andrew Hurt in One Day. I've had the great privilege of witnessing your ministry at a Salvation Army music camp in Canada about 10 years ago. I recall your performance on Revelation as John. That awesome ministry and performance has been a great influence. Thank you. Both the teenaged actors (Josh Allen and Stacey Bradshaw) and the 40-ish adults (Juli Tapken and Rich Swingle) deliver low-key, natural performances. People unused to communicating emotions without words might be tempted to overact, but they don’t. One Film Fan: How was it working with fellow actors Irene Santiago, Stacey Bradshaw, Rich Swingle, and Josh Allen? Juli Tapken: Rich and Irene–that would be just a straight out “WOW”! Both are truly professional and inspirational to work with. The three of us meshed perfectly for the scenes we were tackling . I couldn’t have asked for a better team to create this with. Am I forever grateful to just meet them, get the chance to perform with them, as well as all of the other wonderful talent in “Providence”? ASTONISHED! Loved what you do with Treasure Seekers, the accents, the ideas - superb! See her music video for Providence, a film in which I play one of the leads at www.RichDrama.com/DanceOfLife. One thing that distinguishes this feature film is that it is silent with only well placed music. However, the acting is so vivid you will feel that you are hearing every word. ... The adult Mitchell played by Rich Swingle has found his calling. He is a pastor. ... The scenes of Mitchell carrying out his pastoral duties are perfectly done and a must for any who feel called to take that role. ... Very striking is Mitchell in prayer and you know he is praying about and for Rachel. It was amazing to get the opportunity to work with you on this film! I was not aware that this was actually your first time portraying the Lord, in a film! You were terrific! 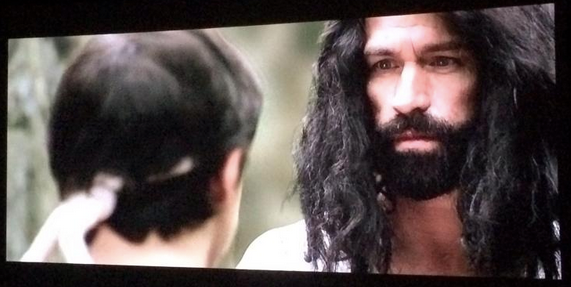 I am not going to lie, while we were recording the crucifixion scenes, I actually was getting choked up! When I watched through the camera, I just couldn't believe I was filming this!! Thank you for allowing me this chance and thank you for taking the time to travel here and perform this part! I greatly appreciate your talent and passion for performing the role of Jesus! Director of Photography for "The Messenger's Box"
I WAS IMPRESSED ! ! ! You were shown right at the start on the spiral stone steps giving the box to Simon. You looked just perfect; terrific face shot with those special features and eyes that you have. I remember also the excellently appropriate voice you have---just perfect for the part. I wish now that I would have watched the filming of the crucifixion that day after talking with you while the "bloody" makeup was being done. I thought the script, acting, editing, and musical score were very well done. The entire creation was very well done and far exceeded my expectations. Playing Jesus with Joseph Ouellette. by Tricia Ouellette and used by permission of her and director Gary Bosek. Couldn't have asked for a better instructor! Hallo. Must say The Unexpected Bar Mitzvah: Super nice. Just watched it. Wow. I'm a pastor and work with youth and teens, and the way the youth were used in the movie was phenomenal and such a blessing. Thanks. I bought and watched [Confessions of a Prodigal Son] - then I saw the credits and had to "rewind!" Good movie and Great job as a homeless man. Rich Swingle is in it, which means you can't go wrong! If I had to pick two words to sum up Rich, they would be that he is so alive and so vibrant! I cannot even begin to describe my admiration for his work and his wholehearted devotion to Jesus. I can't wait to work with him again in the future, Lord willing! Wow. I remember being at MasterWorks a year or so after 9/11 and seeing this drama. There wasn't a dry eye in the room - the all guys row behind me was sniffling all throughout. I wish I could see it again, but it made a deep impression on me, and brought healing to our group. Thank you for sharing your gifts. Sia and I just watched your "Sheepish" piece on Gideon and we were mesmerized by your performance. YOU are one talented dude! So tonight, we will have our "Midionite" snack.......CHARGE!!!!!!!! BRAVO to your performance. Tonight I saw the best one man show! Rich Swingle was so delightful, talented and FULL OF ENERGY! I saw it with Fred and Sharon Wilharm (producers of Providence and The Good Book). Rich's shows are constantly being booked all around the world. We had a blast. Impressive talent & super nice guy. I'm so pleased I had the opportunity to work with him on Providence. God bless. "Thank you for your gripping portrayal of everyone in Acts at Living Water yesterday. We appreciate you taking out time for us. It was awesome! Even my kids liked it. Rich Swingle... I just now realized that I saw you on TV the other night...and did not even realize it was you. 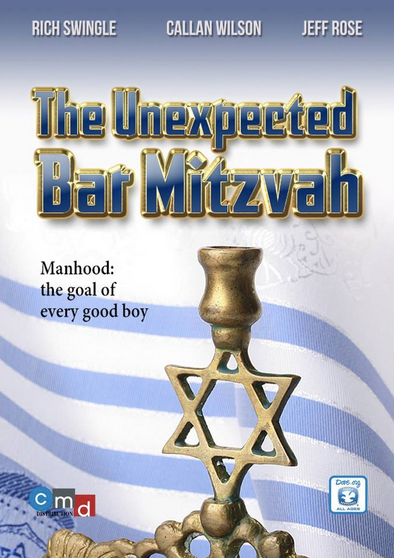 Although I am not that familiar with who you are...I have seen you in the trailer for The Unexpected Bar Mitzvah. Just now...I was watching your reel... (after reading your eCard) and was so surprised when a scene from A Christmas Snow popped up. My mouth dropped open as I remembered watching that movie just the other night...Christmas Eve I believe it was...and at the time I watched it...I did not realize that Claud was played by the same actor (you) that I had seen in that trailer for The Unexpected Bar Mitzvah. What a delightful surprise. I think you are a very talented actor sir. Thank you for your teaching and encouragement which helped me grow in grace and truth! You are by far one of my favorite, most influential, most memorable, and most enjoyable teachers. Not only your insights on acting which were many but your insights on to the nature and character of God which came just as fast and free. 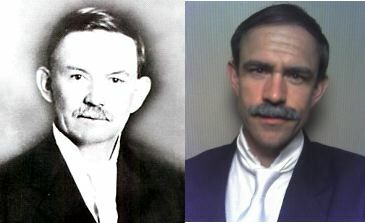 For our centennial celebration on the Metro NY District, Rich Swingle did a superb and unforgettable portrayal of C.B. Jernigan (who founded the district). I had to remind myself a few times that it was you and not C.B. himself! I felt like I was sitting in that first assembly hearing the report for the very first time. It was amazing and it brought history to life. We have a rich heritage. Thank you for helping us to appreciate it. Your short bit in Christmas Grace was memorable. You generally seem to be a pretty natural actor. You're good at locking in and responding and not anticipating or giving away subtle "tells." You make your takes look as though they are happening for the first time, which is great. I felt like you found a character. Generally when it comes to actors working in Christian films who I consider solid actors you are very high on my personal short list. I think you have loads of ability more than some big names out there. I'm dying to work together again soon! "I don't play those kind of games! There's the door!" Gold. If you hit that peak performance even a few times in your career it's a happy thing. You were radiating the part so perfectly you caused an honest performance in your scene partner, too. I could watch that short moment multiple times and enjoy it. Thank you, Rich Swingle. Brilliant work!!! "MasterWorks has blessed me beyond what I dreamed possible. This is a beautifully annointed place, and I'm so glad to have been able to attend. I have never wanted to come back to a camp before, but I do pray (if it fits in God's plan) that I can come back. I will certainly recommend it..."
"I was encouraged to be around so many Christian artists; especially those with careers further along than my own." "I learned to trust God more." "I learned how to read a script for its ministry value; to evaluate every character as a spiritual being, and to be mindful of preparing my spirit for the role." "I learned a lot about trust and humility." "I really enjoyed how everything, even our art, was focused on God." "The quiet time is a habit I had needed to set in my life, and that helped immensely. The quiet time I've had with the Lord has/is/will always be precious." "I learned to let go and not ever worry about whether you look silly on stage or not." "I learned to infuse prayer any time it's necessary/whenever I feel led." "I enjoyed how often we took the time to pray and worship. That helped keep me focused on what's important." "I loved learning to focus on God in the context of performing." "I learned the power of prayer and standing up for what you believe." You did a GREAT job in Beyond the Mask!!! Just watched it and - wow! Kids will love this film! Kudos to you in your role! You were absolutely in your element. Swingle's one-man, high-energy, hour-long play...Beyond the Chariots...won him many hearts. Let the Believers say AMEN and AMEN! Totally convincing as the "land speculator swindler" using just a twinkle in his eyes and a crooked smile, such is the mastery of actor Rich Swingle, in Alone Yet Not Alone. God bless you Rich! I mean those words more ever before since the Christians in Theatre Arts Conference (www.CITA.org) in Puerto Rico last Summer. My brain exploded seeing you perform "La Gente Que Jesús Conoció." I have been keeping up w your postings and was SOOO BLESSED with the preachings done by you and your wife this last Christmas (on Elizabeth and Zachariah). I am inspired by the work you're doing and I truly pray blessings over you and your ministry and your family! Why did my eyes drip water? We all watched Indescribable and are so blessed! Our four-year-old said he didn't know why, but it made his eyes drip water. We told him that was because you both did such a good job telling the story. Our 15-year-old went right to the hymnal afterwards and started playing "The Love of God" on the piano. Thank you so much! Jonah, JONAH!!! Wow. We laughed so hard! Our eldest was close to the stage when the whale "vomited" Jonah out. He could not believe how high you jumped from all fours! Slapping each other with the fish was GREAT! Everybody laughed and thought that was great. Thank you so much for putting character and skin to the Bible. We seriously hope to see you again. Wow. Wow. Most moving artistic display against slavery I have ever seen. Thank you for sharing this. Blessings. Me goce mucho en el monologo que hiciste en La Catedral de la Ciudad. Que gran talento DIOS TE HA DADO. I very much enjoyed the monologue (La Gente que Jesús Conoció) that you performed in La Catedral de la Ciudad. What a great talent God has given you. I thought acting was about the thrill of the applause, but through MasterWorks (www.RichDrama.com/MWF) I discovered that it can be much deeper than that. I saw more talent in the last 45 minutes than I have in the last month in Hollywood. I must say MasterWorks was so amazing and life changing I gained awesome new friends, grew in my acting, learned a ton, got to perform Off-Broadway in the city I've always wanted to go to, and most importantly I grew closer to God in ways I never imagined. Definitely the best four weeks of my life so far. "When I was going to come to MasterWorks, I was expecting either very strong Christians, or fabulous actors. I never expected to receive both!" You can find out what's coming next at RichDrama.com/Updates. Thank you so much for your amazing ministry! My 15 year old daughter and I saw last weekend's performance (of The Revelation), and she verbalized to me exactly what I was thinking: "EVERYONE needs to see 'Revelation'." Do you have any future plans of performing it again in the tri-state area? We would like to invite many folks to see it with us. Thank you again & may God continue to bless you & your ministry! "Rich & Joyce are a powerful team. If you ever have the opportunity to see them perform together – don't miss it! Joyce conveys a lovely screen presence. She steps right into character with a strong performance." I remember seeing Rich perform this back in the day at The Lamb's Theater. "The Revelation" is a stunning, contemporary, and vivid work that exceeds every expectation. It's as though John himself is personally sharing his vision with you and every mystery is revealed. I also missed having a guest artist performance like we did last year. The gentleman who performed last year (the one who travels to Israel) was so fantastic and truly challenged the students to dedicate their gifts in service to Christ, for His glory. Seeing faith in action in the real world is vital for these students. I loved the workshops...My students missed having Rich Swingle there. I want to express my thanks to you for investing the weekend with our drama team. They were thrilled. My wife is prayer partnered with Cheryl Wise. They talked about it and, as you’d expect, Cheryl was thrilled with the entire experience and all that she and the kids were able to learn through the workshop and on Sunday. And I could not have been more impressed with what all of you created from Romans 4. What a powerful way to share the text and the belief of Abraham. I’m walking in his footsteps of faith. Thank you for using your gifts so well to make a difference in our church family. We have been blessed by you! Thank you for using your gifts to help equip, encourage and build up this part of Christ's body. Blessings! Rich!! You, sir, are the bombdiggity!!! Rich, Thanks so much for doing all of this! I'll pray that God blesses you forever! Rich, Thanks for sharing your gifts and your passion! Rich, Thanks sooo much for coming and teaching us more skills that we can use in the future! Thanks so much, Rich! This was so much fun! Thanks for sharing your skills and heart! Thank you so much for being with us! Thanks, Rich! Keep in touch I am thankful for your ministry. God bless your ministry Rich! You have blessed us! Thanks you! I was privileged to be able to attend this program last year. I cannot say enough good about it. The teacher, Kaelen Carrier, is amazing! The program itself is amazing! And you WILL walk away from it a better actor, person, and with a closer relationship to our Lord and Saviour. If there is even the SMALLEST chance you MIGHT be interested, don't hesitate! AUDITION! It was so good to meet you all at the Grace2London, Beyond the Chariots (http://RichDrama.com/BeyondTheChariots) event, thank you so much for your service and proclamation of the Gospel in Europe and especially in my nation! The MasterWorks students were so talented! I wish I wouldn't have come alone. Next year I'll invite lots of people! You can play him, but he could never play you. Thank you for such a great performance. 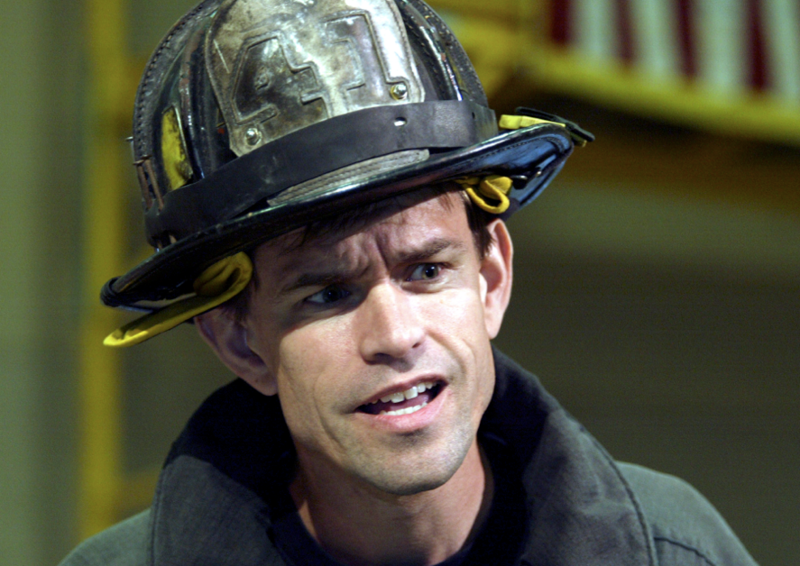 I lost my friend who was a firefighter. Your performance and sensitivity meant the world to me that night. "There were times when I truly forgot where I was and I would no longer be just an audience member but instead was in the scene experiencing everything that was happening in the scene." Last year I had the privilege of competing at the CITA competition in South Carolina. I came with my school without any big expectations for the year apart from having fun and growing as an actor. At CITA, I found both of these things and so much more. I made it to finals that year in my long monologue, which was a pleasant surprise --one I hadn't expected. However, the biggest blessing of the weekend was not the wonderful workshops, the adrenaline rush, the new friendships, or even making it to finals. The biggest blessing started with sitting in my seat at the final rounds, watching Mr. Rich perform before I went on stage. He performed a monologue as Paul and presented the beautiful story of transformation within a man's heart. While watching Mr. Rich, this joy took off in my heart that words can hardly put meaning to. I saw an incredible actor, but more than that, I saw a follower of Jesus Christ loving and glorifying God through his passion for the arts. How he can use one passion to glorify His greatest passion is a work of art within itself, it is a gift. Perhaps, it was his love for God that was so real. Maybe it was the understanding of God's power Mr. Rich had prior to his monologue that brought such depth to the stage. I can tell you one thing for certain, God was in the room. I felt his delight over me and for Mr. Rich. After watching him, all I wanted to do was get on stage and perform for God like him, and I was able to. I was not performing a timeless story from the Bible or anything that really had to do with God at all, but it was for him. It's never been that real for me. God and I were the only two in the room after that. It was father and daughter simply delighting in each other. When I got off stage, I didn't care about the outcome. I had been given a new perspective. I didn't win that year, but it really didn't matter. I spent the two hour drive home in the back of my car looking at the stars and reflecting back on God's beauty. I can't tell you what happened that night, except that God touched my heart during Mr. Rich's performance. God really used him that night and I know God is continuing to. Just as the uncreated God reached down to touch Paul's heart, God also reached down that night to touch mine. I thank God that there are people like Mr. Rich Swingle, who can praise the Lord with the gifts He's given them. In doing this, we truly can be a reflection of our Creator, and I know it brings Him glory and gives him delight. When you came to Norwalk and performed The Revelation, you moved one child so much that now he loves church and the Bible. His mother was so grateful to me that she hugged me so hard I could not breathe.